Did you know that Esurance is one of the most popular auto insurance companies in the United States? However, when it comes to health insurance, Esurance has partnered with eHealthInsurance to offer thousands of plans from 180 different health insurance providers. 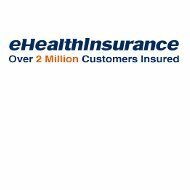 eHealthInsurance prides itself on having helped more than two million people purchase health insurance policies. These policies are on a month-to-month basis, with no annual contract commitment. When looking to compare health insurance quotes, look no further than our tool below. Simply enter your zip code and let us tell you what is offered in your neck of the woods. Esurance and eHealthInsurance are both fully committed to making the insurance shopping and purchasing experience as painless as possible. They also strive to get you, their customer, the best price you can find on your insurance, whether auto, life, or health insurance. The eHealthInsurance process takes approximately eleven minutes from the time of zip code submission, through the live quotes process, to the online application and then final approval of your health insurance policy. Esurance boasts dedicated claims agents and 1700 employees nationwide. Their 24/7 customer service is accomplished with a combination of live agents, web access, email, and Smartphone apps, leading to their tagline “people when you want them and technology when you do not.” However, this will help you with your auto insurance policy, not your health insurance plan. For your health insurance policy through eHealthInsurance, you will be assigned an agent with the health insurance company that administers your plan. Part of eHealthInsurance’s “Customer Promise” is that they will continue to be your advocate, should you need help dealing with the insurance company. They also pledge 24/7 customer service support, similarly to Esurance. You can reach them through online chat, email, and phone. Esurance is always looking for customer service representatives to join their team in Sioux Falls, Nebraska. The company features competitive wages and great benefits, along with an award-winning diverse workplace. The insurance provider is dedicated to the environment, and utilizes hybrid fleet vehicles, offsets to electricity use, and nationwide tree planting. eHealthInsurance, through its parent company eHealth, has openings in its offices nationwide. You can search their online database of jobs. http://tbe.taleo.net/NA11/ats/careers/jobSearch.jsp?org=EHEALTHINSURANCE&cws=1 eHealth’s portfolio of companies includes eHealthInsurance, PlanPrescriber.com, eHealthTechnology, and eHealthMedicare. Do not go another day without health insurance! Find out health insurance rates in your area by entering your zip code in the box on this page.